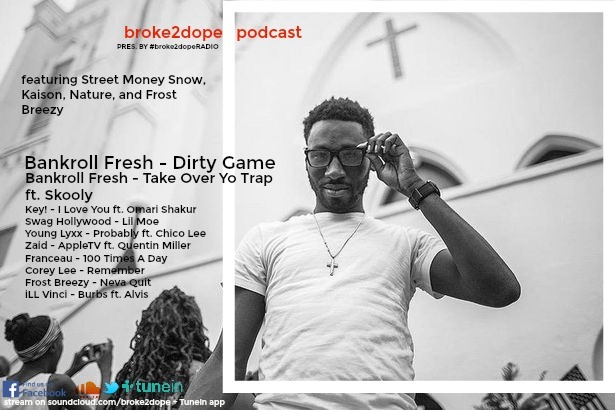 On this special edition of the Broke2dope podcast, carpeNIKA teamed up with indie artist Frost Breezy to discuss the legacy of Bankroll Fresh one year after his death. We were able to speak with close friends of Bankroll Fresh including Streetmoney Snow, artist Kaison, and Streetmoney Worldwide co-founder Nature who spoke on how they plan to continue on the legacy of the Atlanta legend. 'In Bank We Trust' is expected to be released on April 24th. Music featured on the podcast includes Bankroll Fresh, Key!, Corey Lee, Quentin Miller and more. The podcast is available to stream via Soundcloud and the TuneIn app.